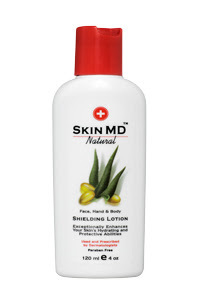 You may remember that I reviewed Skin MD lotion here. It's a great lotion for dry skin and made in the USA! The wonderful folks at Skin MD are giving my readers a 20% discount on anything at SkinMDNatural.com. All you have to do is use the code BLESS at checkout. This code is good until April 19th. Thanks Skin MD!